You did it. You made it through the winter. Now it's time to ring in the spring with a uniquely Detroit celebration. In the past decade, Detroit boosters have revived the old folktale of the Nain Rouge, or the "Red Dwarf" — a mischievous imp that, as legend has it, cursed city founder Antoine Cadillac and his city, even appearing at other times during its history as a harbinger of doom. 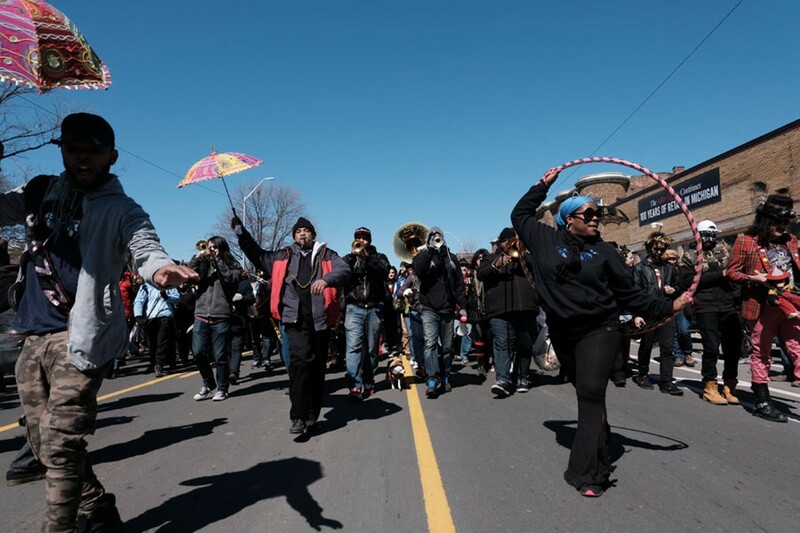 In the modern interpretation of the tale, revelers chase out the Nain by donning costumes in a celebration that has been described as a Motor City Mardis Gras. It's an anything-goes fest: There is even a pro-Nain faction that believes the little guy is being unfairly scapegoated, and protests every year. No matter: Whether you fear the "Red Devil" or "Support the Short," everyone tends to get pretty drunk either way.